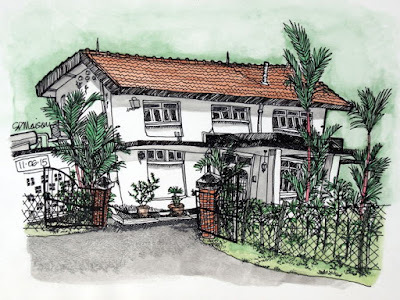 This weekend I decided to draw the house which has been on my list of things to do before departure. I completed the line-work on Saturday morning but decided to wait until the shadows were stronger to colour the drawing. 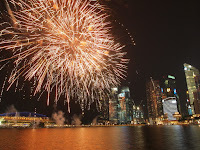 In the afternoon, I went to Marina Bay with CK to another rehearsal for the national day celebrations. There were more people around the Marina than last weekend, but we found a spot in front of the Esplanade outdoor concert theatre which was directly in line with the fireworks. 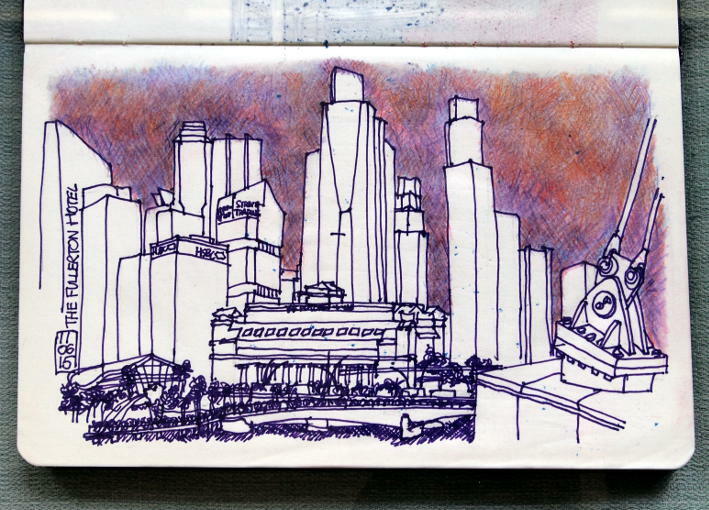 During the three-hour, bottom-numbing wait, I sketched the Fullerton Hotel which at dusk was surrounded by brightly lit buildings and a magnificent purple and pink backdrop. The fireworks were harder to photograph this week due to the large amount of smoke and vast areas of intense colour. 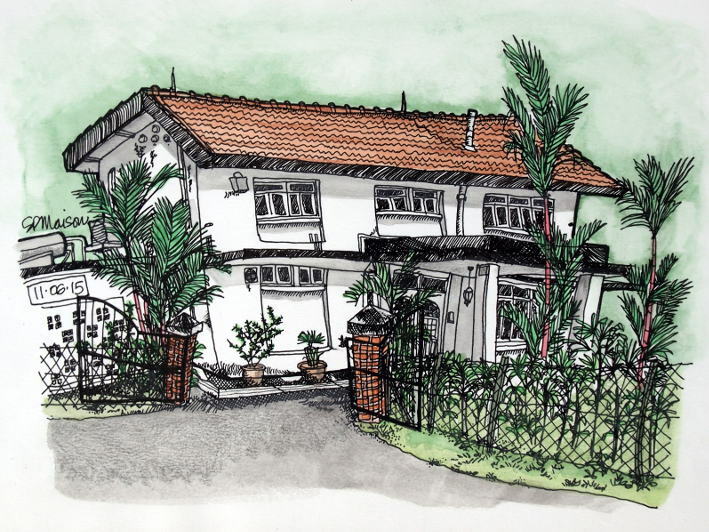 On Sunday, the sun hid behind lumps of cloud but peeked through long enough to add some shadow to the house drawing. I slapped on water colour which was hastily removed with wads of kitchen roll until a suitable shade was achieved - I'll get the hang of this paint stuff one day. I'm really looking forward to the Urban Sketchers Symposium in a couple of weeks.